Gray's anatomy for students, 4th ed. Neuroanatomy: an illustrated colour text, 6th ed. Abraham's and McMinn's clinical atlas of human anatomy, 8th ed. 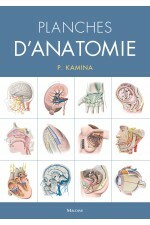 Toute l'UE 5: Anatomie (cours + QCM), 2e éd. 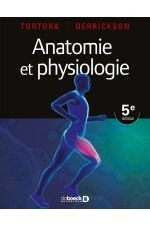 Anatomie et physiologie, 5e éd. Atlas of human anatomy: Latin terminology, 7th ed. Gray's clinical photographic dissector of the human body, 2nd ed. 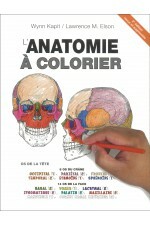 Anatomie à colorier, 4e éd. Auteur : Kapit W., Elson L.M. Mosby's Anatomy & Physiology Study and Review Cards, 3rd Ed. 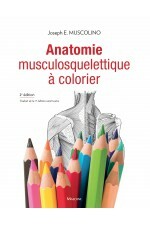 Anatomie et physiologie humaines: Travaux dirigés, 12e éd. Netter's concise radiologic anatomy updated edition, 2nd ed. Immunobiologie de Janeway, 4e éd. Microbiologie de Prescott, 5e éd.